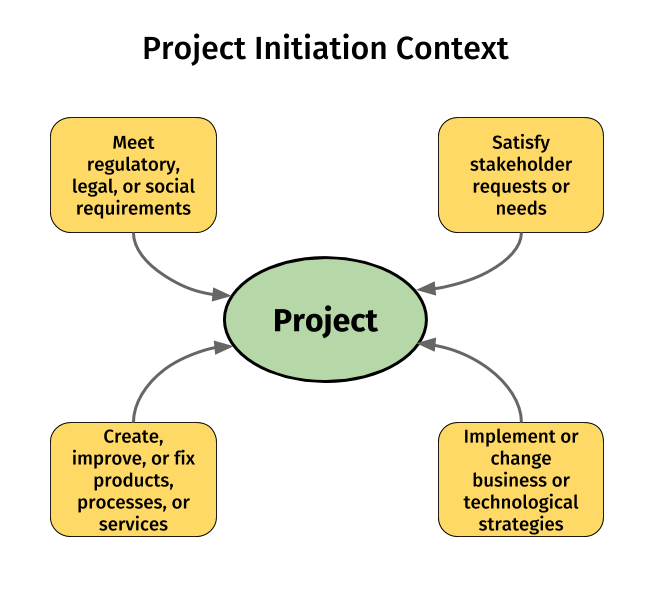 Projects are initiated for 4 reasons as shown in the diagram below. Traditionally, project success was measured in terms of time, cost, scope, and quality. The more modern view calls for also measuring the extent to which the project objectives are met. Therefore, success of a project is measured by product and project quality, timeliness, budget compliance, and degree of customer satisfaction. It is possible for a project to be successful from a scope/schedule/budget viewpoint, and to be unsuccessful from a business viewpoint. This can occur when there is a change in the business needs or the market environment before the project is completed. Give an example of each trigger listed above. Which of the following is/are candidate(s) for a Project?